Are these Zesty Citrus Chicken Kabobs that mouth watering? Oh, Yes! 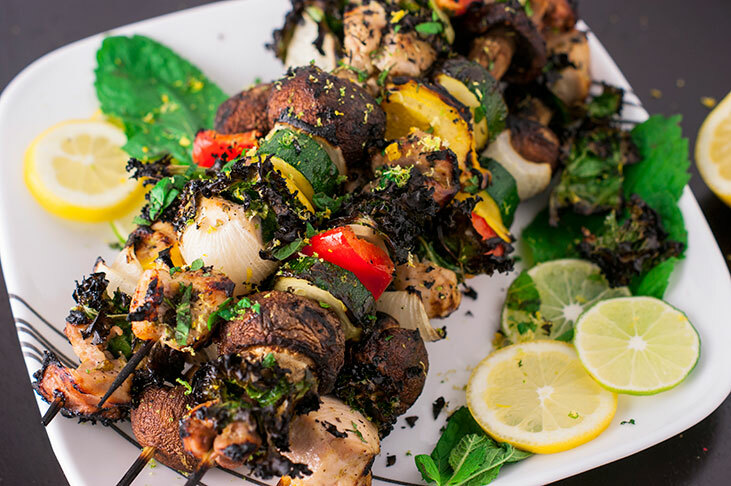 It’s BBQ season and what better meal to serve for dinner than some healthy kabobs? 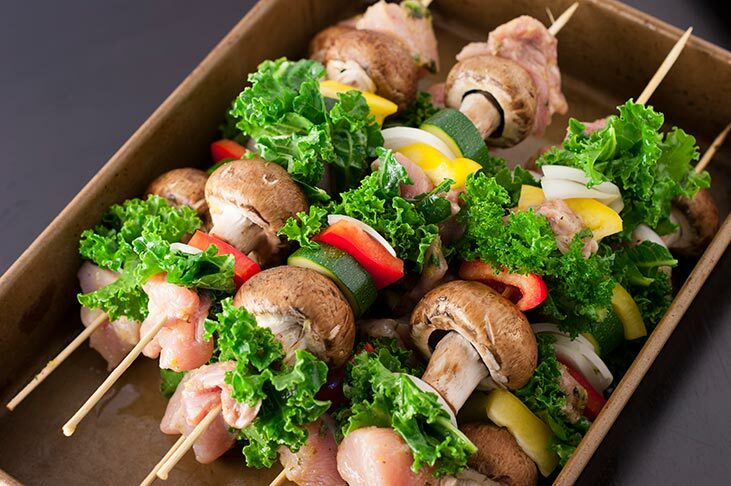 They go so well with a fresh salad and you can add a bunch of delicious veggies or even fruits to the skewer. This recipe is amazing and I thank my lovely mom for sharing it with me. I haven’t made it in a while and almost forgot how good these were but fear not, I remembered and decided to share. 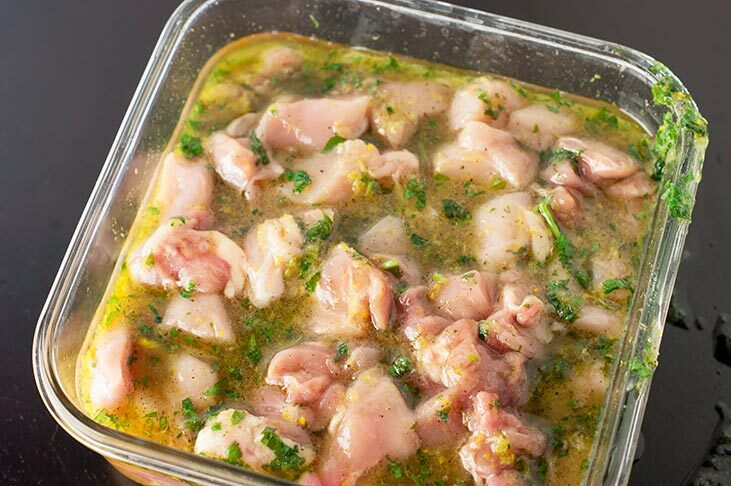 The chicken is marinated with Orange, Lemon, and Lime Juice as well as Zest in addition to Honey, Grape-Seed Oil, Fresh Mint, Cumin, Salt, and Pepper. 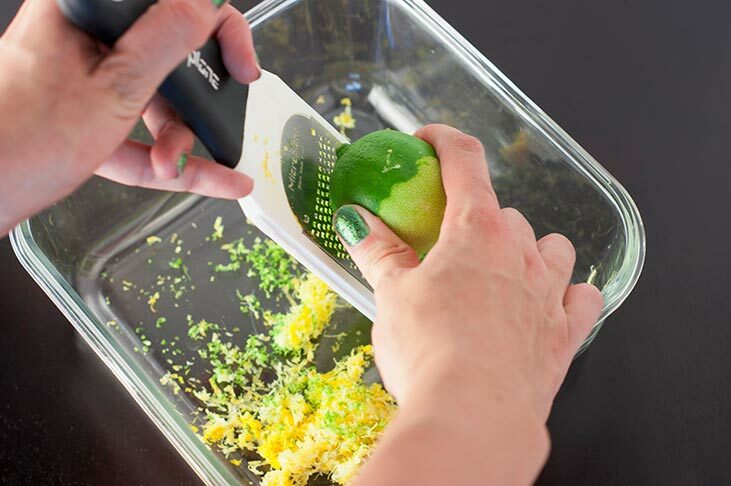 The Citrus adds a mild tangy flavor, the honey a mild sweet, and the zest, mint, and cumin give it a slight kick. One of my favorite parts to this dish is the light mint flavor left in your mouth after you eat. It feels like you have a hint of minty fresh breath. I also am in LOVE with the aroma of the marinate. Once you try it out you will know what I mean! This is definitely one for the books. This time around I wanted to try adding some kale to the skewers since kale chips are such a hit now days. The juices from the chicken seasoned the kale so it too had a slight citrus flavor but they turned out excellent! I can’t take full credit of these awesome chicken kabobs since my wonderful hubby did all of the grilling. Thanks babe! Great team work! 🙂 I forgot to mention these make a great dish for parties, events, or any get togethers! 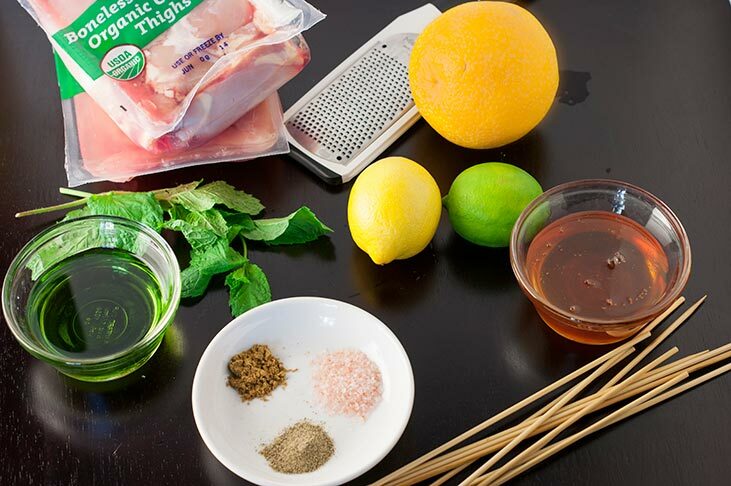 Remove from grill, allow to cool, then sprinkle mint and zest over the chicken and serve.